NORTHEAST – Ivy Tech Community College broke ground today on its new $2.3 million Aviation Technology facility at Smith Field Airport. 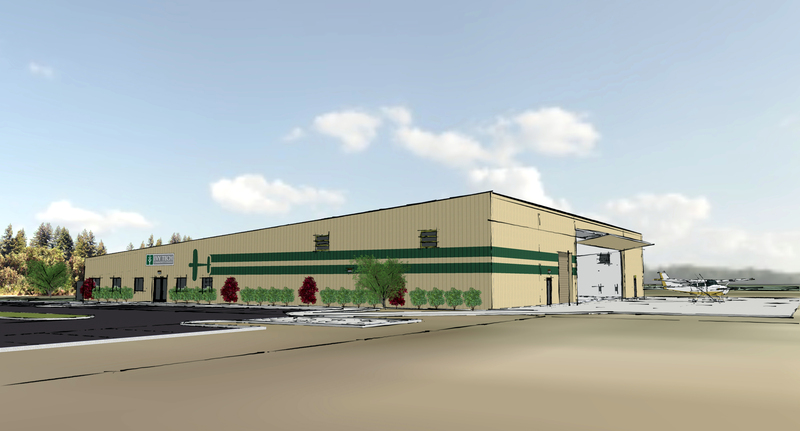 The facility will house Ivy Tech’s existing Aviation Maintenance Technology program. The 21,000 square – foot facility will triple the classroom space and also provide additional hangar availability which will allow room for the full fleet of aircraft used in the program. The Aviation Maintenance Technology program in Fort Wayne is unique to the statewide Ivy Tech Community College system, and it provides an opportunity for students to receive a hands – on, educational experience in this specific field of study. Graduates of the program will be at the forefront of aviation maintenance technology, as this new facility will help form a stronger connection for students to the real – world workforce. This effort has been made possible with the support of numerous area partners, including the City of Fort Wayne, Fort Wayne/Allen County Airport Authority, Smith Field Airport, The Greater Fort Wayne Chamber of Commerce, Fort Wayne – Allen County Economic Development Alliance, and the Federal Aviation Administration. Careers in aviation maintenance are at an all – time high, and job opportunities for qualified mechanics are available all over the world. The $2.3 million building will be constructed near the entrance of the Smith Field Airport off Ludwig Road, but there are plans for an access road to be added off Cook Road. Ivy Tech has been leasing its current facility on the west end of Ludwig Road for approximately the last five years. This building does not offer sufficient space for growth of the program and has become a limiting factor for scheduling and new student enrollment. The program currently accommodates 90 students with growth potential known in prospective student inquiries and applications, workforce training and certification opportunities, as well additional community outreach support and partnerships. For more information on the new facility or the Aviation Maintenance Technology program, contact Sheena Nolin at 260-481-2257, snolin@ivytech.edu, or visit www.ivytech.edu/aviation-technology. The Fort Wayne – Allen County Airport Authority (FWACAA) was created in 1985 and is responsible for managing the Fort Wayne International Airport and Smith Field. In the last few years, FWACAA has undertaken an aggressive improvement plan at SMD which included the construction of an aircraft maintenance training facility in partnership with Ivy Tech, the installation of an Automated Weather Observation System (AWOS) in partnership with Parkview Hospital, the installation of a self – serve aviation fuel system, and various facility, electrical, storm water, and pavement improvements. The Authority is governed by a six–member board appointed by both the Mayor of Fort Wayne and the Allen County Commissioners. For more information about the Fort Wayne – Allen County Airport Authority, visit www.FWAirport.com.